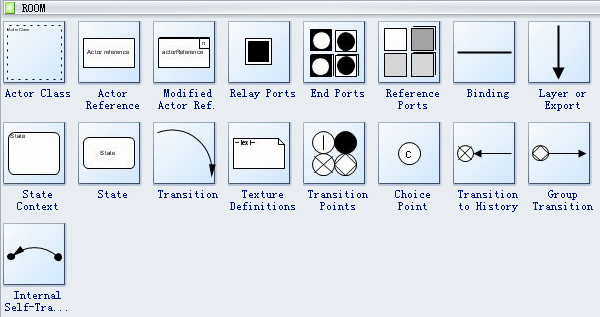 Pre-drawn ROOM diagram symbols represent actor class, actor reference, binding, layer or export, state context, state, transition, etc. These symbols help create accurate diagrams and documentation. 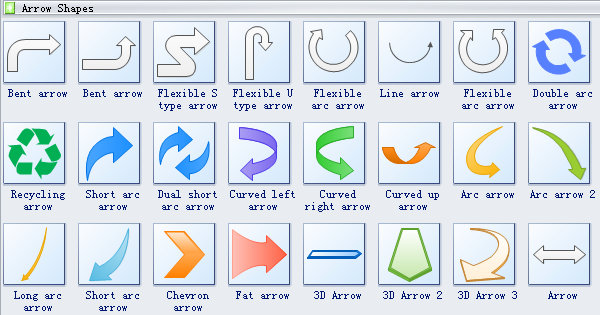 Edraw software includes many special shapes and symbols used in ROOM diagrams, actor class, actor reference, binding, layer or export, state context, state, transition, transition points, choice point, transition to history, group transition, and internal self-transition. 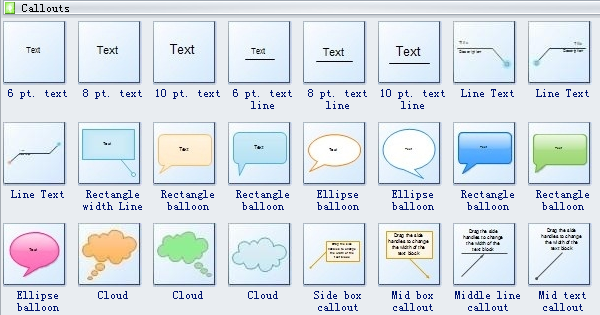 Room diagram shapes like actor class, actor reference, binding, layer or export, state context, state, transition, transition points, choice point, transition to history, group transition, and internal self-transition are available here. Actor class is a predefined stereotype of type denoting an entity outside the system that interacts with use cases. Actor reference aims to support sending messages to the actor it represents. Need fresh looking ROOM diagram symbols for your design? These ROOM diagram symbols are a cinch to pop in. And their crisp, fine detail will make spectacular, easy-to-understand diagrams and presentations to your customers.